Easie Peasie Co: It’s a BIG week…and weekend! It’s a BIG week…and weekend! Hi everyone!! It’s Tuesday with a BANG in our neck of the woods. This week…I can only look at my To-Do list…for the day…and not for the week. Because if I look at the whole thing…I’m certain I cannot finish it all. So it’s baby steps…one day at a time. LOL. This week I am working on all my regular work for Demand Studios, my photography business stuff, of course working on my never-ending list of homework for school…and I am also preparing to go back to Alpine this weekend. I am so super excited about this weekend…when I think about it…my heart skips a few beats and FLUTTERS! As you know I’ll be attending the Shooting West Texas Symposium…featuring some phenomenal photographers. Major TALENT from ALL OVER Texas. T.J.Tucker is the award winning creative director of Texas Monthly magazine where he oversees the design, photography, and illustration of the entire Texas Monthly brand. Wyman Meinzer was named the official Texas State Photographer in 1997 by then Governor George W. Bush and the 75th Legislature. Internationally acclaimed as an author and photographer, his work has graced the covers of more than 250 magazines and books. He has published over 20 photography books with subjects ranging from Texas landscapes to playas, rivers, quail, working dogs, sky, and more. Crystal Allbright comes from Terlingua. She began photography with a Kodak Instamatic and kept a camera handy as she studied art and music at Austin College, a liberal arts school in Sherman, Texas. After employment as a photographer’s assistant and serving on the board of Allen Street Gallery in Dallas, she moved to West Texas in 1990 and continued her studies at Sul Ross State University, fortunate to work under Barbara Richerson. Allbright reluctantly moved from black and white film to digital color file, but has not used an SLR in years, preferring the mobility and spontaneity of smaller cameras while hiking, mountain biking and river running in the Big Bend. 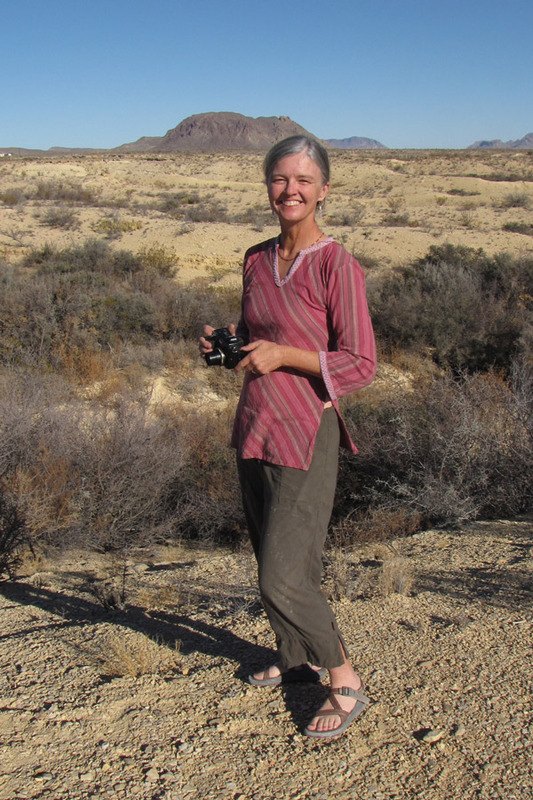 Her photographs have adorned the Big Bend Gazette, the Cenizo Journal, 2005-2008 Big Bend Texas Mountains Travel Guide, Mountain Bike Action, IMBA (International Mountain Bicycling Association) Newsletter, and Velo News among others. Pretty exciting RIGHT!! And those are just a few of all of the amazingly talented people that will be giving presentations. I can barely stand the wait…I have to get all my TO-DO list stuff DONE so I’ll be ready to roll on Friday!! YAY!!! My little Mamma is going with me as well…she’s just as excited. She’s also a photographer and outdoor enthusiast! We will be like kids in a CANDY STORE! Plus….I just checked the weather…and Oh. My. Gravy. It’s going to be a DELICIOUS Fall weekend in the mountains. Rain is forecasted for the whole weekend! LOVE IT!!!!!! I'll be posting a few more things about this weekend…maybe you aren’t interested in West Texas photography…but who knows…MAYBE YOU ARE!!! Sounds like a fun weekend planned! You will be surrounded by so many talented photographers! !